What's Causing Your Heel Pain and How Can You Treat It? PGA Foot & Ankle P.A. Blog What's Causing Your Heel Pain and How Can You Treat It? According to the American Podiatric Medical Association, heel pain is the number one foot ailment in America. A national study with 1,092 survey respondents found that 75 percent of those surveyed had experienced at least one foot problem within the past calendar year, with roughly 40 percent of those individuals having suffered from heel pain. Heel pain is a serious problem across the country. 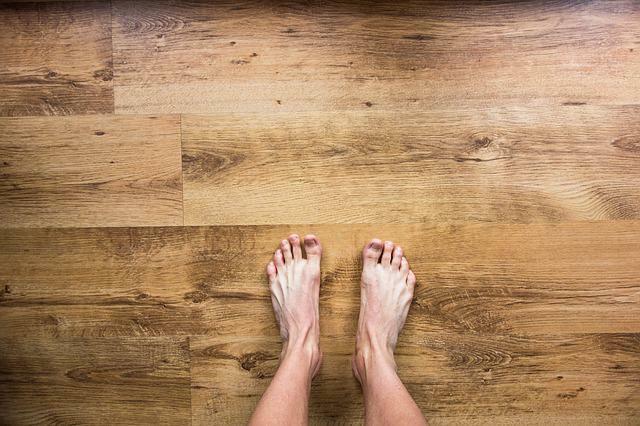 Millions of individuals spend several hours on their feet each day, inevitably leading to soreness and pain in the feet and heels. In fact, nearly 25 percent of those surveyed said they spent at least six hours a day on their feet, and two thirds of those people admitted they wear shoes that do not fit them properly, or hurt their feet to wear. Blisters and heel pain are the most common symptoms of ill-fitting shoes, and the problem is even more prevalent in women, who often wear uncomfortable high-heeled shoes. Other ailments that stem from uncomfortable shows are ingrown toenails, corns, and pinches nerves. If you're experiencing heel pain from the day-to-day grind of being on your feet, below are a few tips to help remedy the problem. Many jobs require individuals to stay on their feet, but try to make a conscious effort to give your feet and legs a break. Sit down when possible, and if you can't do it during work, try to get off your feet for a bit during your break time. When you clock out and head home for the day, give your feet some time to recover. If you're feeling heel or foot pain, your body is telling you that your feet need a break, so don't come home and go for a run. Relax for a while before you get back on your feet again. The less strain and pressure you put on your heels, the better. If you are going to be stuck standing for long periods of time, you should be sure to have a go-to pair of shoes that fit just right and feel comfortable. Don't buy shoes that are too loose or too tight. The shoes should not move up and down your heel when you walk, they should fit your feet snugly but comfortably. Your toes should also have some wiggle room. Make sure your heel fits into the widest part of the shoe comfortably; you shouldn't have to squeeze it in. In addition, if you have flat feet or need arch support, consider orthotics. Orthotics help provide support in the right places while relieving pressure others. In some cases, orthotics purchased off-the-shelf will be sufficient, but in other cases, we sometimes recommend custom orthotics, which are made to the exact specifications you need based on the structure of your foot. Regardless of how you go about making sure your feet are comfortable in your footwear, doing so will help ensure that problems don't develop and pain is kept at bay. You use your feet so often and for so many things, so they deserve to be well cared for, but most people tend to neglect their feet. Don't stay on your feet for extremely long periods of time. The wear and tear of standing, walking, and sitting can take its toll. However, don't sit for long periods of time, either. It's important to keep the blood circulating through your feet. When sitting, try not to cross your legs, as that inhibits circulation. It also helps to elevate your feet when sitting to promote circulation. Physical activity and walking help to keep your feet healthy and in good shape, but just don't overdo it. Things like gentle foot massages or a warm foot bath will also make a positive impact on your quest to keep your feet in good shape. Also, try to keep your feet moisturized to prevent dry skin and cracking. The little things go a long way. Surprisingly, most people who experience heel pain try to ignore it and don't seek proper treatment. Instead of talking to their doctor or scheduling an appointment with a podiatrist, most people with heel pain consult Dr. Google instead. They do online research on their condition, but don't take things any further by working with an expert, which ultimately means that they don't receive a diagnosis or proper treatment. Only 17 percent of people with heel pain consult with a podiatrist. That number is far too low, especially considering that many foot and heel problems can be quickly diagnosed and treated fairly easily. Don't hesitate to make an appointment. You don't have to live with constant foot pain, we are here to help! There are a number of causes of heel pain and a number of underlying problems that could be to blame, but a lot of it comes down to overuse. Americans are on their feet all day long, and over time, your feet will feel the negative effects. 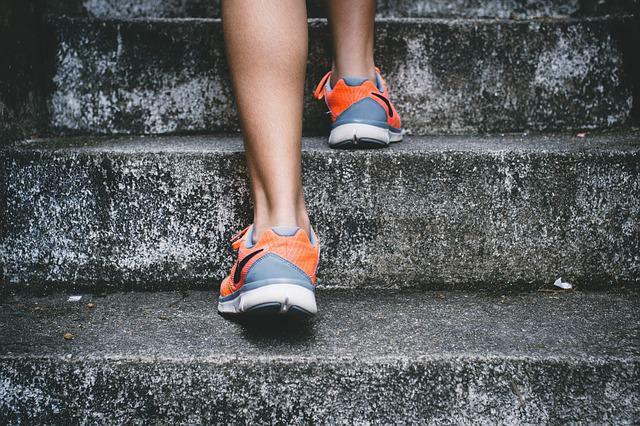 Whether you simply have minor soreness or a common heel problem like Achilles tendonitis or plantar fasciitis, our expert team of medical professionals can help you get to the bottom of it. Schedule an appointment today so we can properly diagnose and treat your heel pain! Author Dr. E. Charisse Dunn Podiatrist and foot and ankle surgeon, Dr. E. Charisse Dunn began her medical practice in Florida in 1992, working in West Palm Beach before opening her private practice, PGA Foot & Ankle P.A., in Palm Beach Gardens in 1997. The goal of her practice is to offer patient-oriented care with open and easy-to-understand dialogue that encourages patients to become active partners in their treatment. If you play any kind of sport, you are at risk for an ankle injury. Sprains, strains, and fractures happen to professional athletes, fitness enthusiasts, and casual players alike. 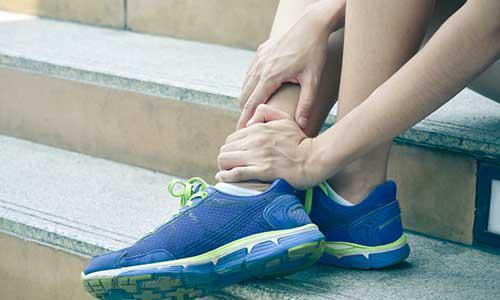 Read on for tips on how to limit your risk of injury. 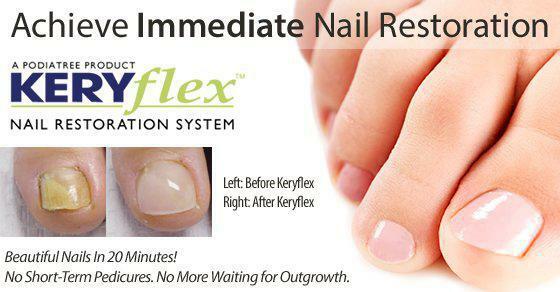 Thanks to the KeryFlex Nail Restoration System, your unsightly nails can be cosmetically enhanced, so you can have natural looking nails in just one visit. Laser treatment for toenail fungus is a sure-fire way to clear up the unsightly appearance brought on by the fungus and return your feet to their normal appearance. Figure out the source of your foot pain and work on a treatment plan to get you feeling like your old self again. In many cases, the solution ends up being something simple, like orthotics.